Have a sweet tooth? Me too. This hand painted pink cupcake may not satisfy your taste buds but it sure looks cute. 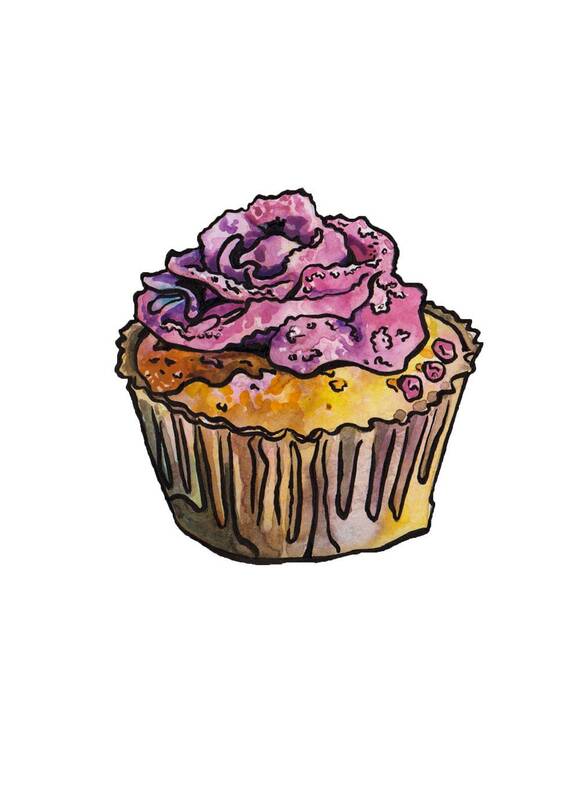 I painted this little dessert in celebration of all cupcakes. Bright, clean, and appetizing, this print is standard size so you can pop it in any 5 x 7 frame and be on your way. This piece does not come with a frame. It would look great in any kitchen, dining room, or breakfast nook. Great house warming gift. 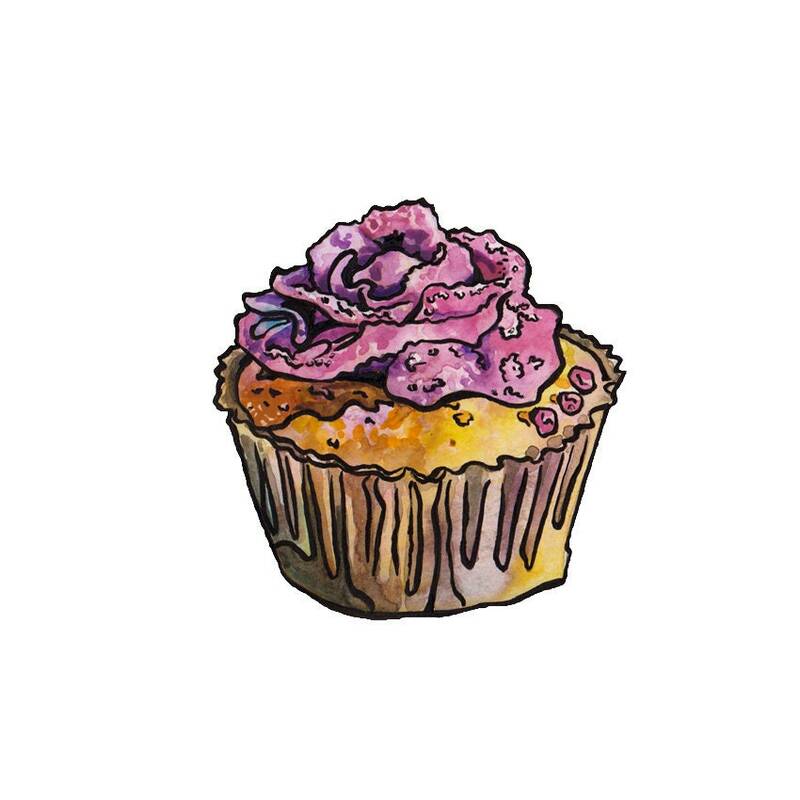 This listing is for a print of one of my original water color and ink paintings, "Pink Cupcake." This signed reproduction measures 5 inches x 7 inches (12.7cm x 17.8cm). The print is high quality; very true to the original's coloring. It is printed with archival inks on acid free paper.